On July 4th, 1826 — two great men lay on their deathbed. They were John Adams and Thomas Jefferson. John Adams was the primary advocate and Thomas Jefferson was the primary writer of the Declaration of Independence. It was the 50th anniversary of the signing of that great document and both men were slowly sliding into the next life. Thomas Jefferson had been bedridden for weeks, struggling to make it to the sacred anniversary, but the night before as his fever spiked people believed he’d die then-and-there. Upon receiving confirmation, Thomas Jefferson slipped into a coma for which he would never return. Hundreds of miles to the north lay John Adams who was also gasping for his last breath. With John Adams and Thomas Jefferson dead, an era came to an end. President John Quincy Adams, son of John Adams, said the coincidence of their deaths on the nation’s anniversary were “visible and palpable remarks of Divine Favor”. Despite being in immense pain, John Adams and Thomas Jefferson clung to life long enough to die on Independence Day. Lesser men don’t see the point of doing things therefore lacking the desire to exert themselves in anything meaningful. But these men valued their legacy even up until the very end because they believed how they died would set the tone for how the republic would continue to live. They wanted their death to irrevocably be linked to the birth of the nation they helped create. But as much as they believed in their own willpower they also believed they received divine assistance in the creation of the republic, which seems feasible given the unlikelihood of passing the U.S. constitution as well as the unlikelihood of passing away on the same symbolic day. John Adams insisted Thomas Jefferson write the Declaration of Independence. They bonded over the drafting and signing of this document. But as they got older and the nation matured, politics started to drive them apart. John Adams became the de facto leader of the Federalists and Thomas Jefferson became the de facto leader of the Democratic-Republicans. John Adams narrowly defeated Thomas Jefferson for the presidency in 1797, but then 4 years later Thomas Jefferson defeated John Adams. Adams was so hurt by the loss that he didn’t attend Jefferson’s Presidential Inauguration despite it being the tradition before and since. They also didn’t talk for many years after that. But as the founding generation slowly died out, they were encouraged by mutual friends to rekindle the ol’ flames of friendship. On New Year’s Day, John Adams sent a brief, but friendly note to Jefferson which included a two-volume collection of lectures by John Quincy Adams (This makes me laugh because to offset what must have been a hit to his ego he braggadociously puffed out his chest as a proud father). 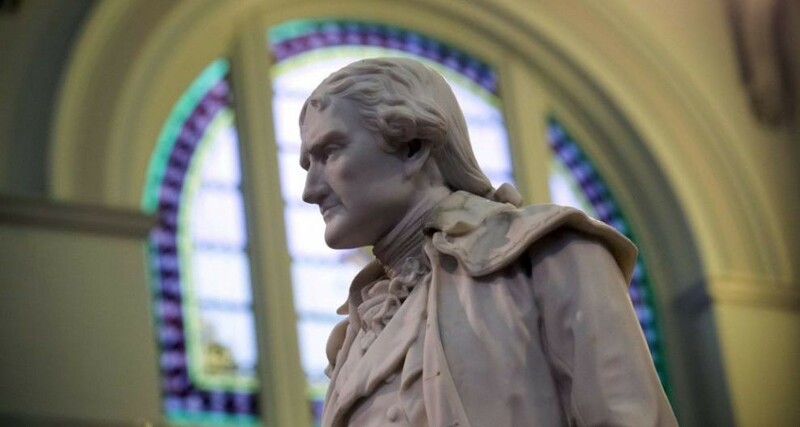 Jefferson immediately replied with a cordial letter, which revived the friendship and for the next 14 years until their shared death they kept up a steady stream of correspondence totaling 158 letters. The letters indulge in reliving the glory days and complaining about the current generation as well as a fair amount of stroking each other’s egos while at the same time trying to soften some of the persisting lines of political and philosophical disagreement. Their mutual respect for each other, shared history, and acknowledgement that the other person’s intentions were pure (although sometimes disagreeable) was enough to overcome their differences. They had a flare for the dramatic. They understood their role in history and wanted to end the final chapter of their life in a way that was worthy of the life they lived. They were showmen to the end. This story is published in The Startup, Medium’s largest entrepreneurship publication followed by +425,678 people.